Hot water is a savored luxury, and to facilitate access, you need your water heaters to function well and stay in good shape. Here at Allied Reddi-Rooter, our plumbing contractors offer everything from water heater replacement to sump pump repair, and we provide service to the greater Cincinnati area. Our company's experts say there are steps you can take to avoid plumbing repair and ensure your water heater delivers the performance you expect. Keep The Area Around Your Water Heater Clear: If your heater is gas-fired, it will need oxygen to generate gas. Nearby clutter will impede the heater's ability to access oxygen. Reduced oxygen will result in inefficiency and may even damage the heater's burner chamber, necessitating a visit from the plumber and costly plumbing repair. Drain Or Flush Your Water Heater: Use your heater's drain valve to drain a few gallons of water from the unit at least once a year. Utilize a garden hose or a bucket, and remember that hot water can kill grass—run the water to a location where it won't cause damage. If you notice lots of sediment and debris during this process, hire a plumber to provide a full flush. Perform Annual Inspections: At least once a year, check your heater for leaks and corrosion in the pipes and valves. If you have a gas water heater, inspect the gas line for corrosion and wear. Scrutinize the thermostat and the area surrounding it in your home. If there is black residue or charred metal, that indicates combustion issues that require plumbing repair. 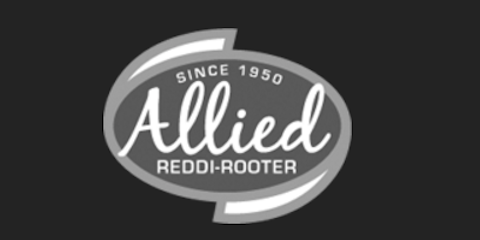 If you're in the market for skilled plumbing contractors, make Allied Reddi-Rooter your first and only choice. Our plumbers have expertise that's second to none, and our company has been providing quality care since 1950. Choose a plumber with the insight to get the job done right by calling us at (513) 396-5300, or learn more by visiting our website.